Discover Stefan Kraft and Michael Hayböck as a cool 3D model! 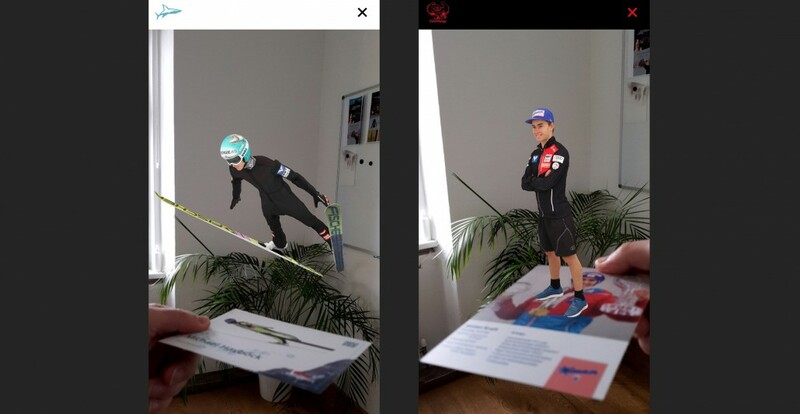 There are now two great Fan-Apps for Michi and Krafti, with which you can create the two athletes in 3D on their autograph cards. And that’s how it works: Download the app, acquire a autograph card and off you go! Simply pull up the app, point your mobilde device towards the printed autograph card and the app will show you different 3D models of Michael and Stefan. On one page you can discover the athletes in a sporty outfit, on the other page you’ll see them in action, midway through a flight. The digital doubles are in such high-resolution that you can zoom in to just a few centimeters. There is also more information about the two skijumpers, including a short bio and their respective successes.